Communities secretary Eric Pickles has warned that English councils that fail to restore weekly bin collections could have their central government funding slashed. Pickles said there was “no plausible reason” why councils should not collect bins weekly, the Press Association has reported. The announcement could affect more than half of councils in England that run some form of fortnightly collection. The government is providing £250m through Pickles’ pet project, the Weekly Collection Support Scheme. It was initially aimed at returning councils to a weekly service, but the criteria for bids were opened out to include a variety of different recycling schemes, from food waste to disposable absorbent product collection. Officials said 85 local authorities covering more than six million households were set to benefit from the programme out of the 130 that put in bids. A MRW investigation of the 326 English collection authorities in September found that out of 216 eligible councils only Stoke-on-Trent had bid to revert to weekly. “Weekly bin collections are one of the most visible frontline services and there is no plausible reason why councils shouldn’t deliver them to hard-working residents,” Pickles said. “We have demolished the Labour myth that fortnightly bin collections were necessary to save money or increase recycling. Recycling charity Waste Watch stated that they think Pickles’ move from carrot to stick is unwanted by the majority of local authorities “and would be detrimental for the environment, society and the economy”. The charity believes that weekly collections will result in falling recycling rates, and potentially increase waste to landfill. Waste Watch said that Pickles’ new approach defies the government’s localism agenda. “Localism Localism Localism has been our mantra for some time now,” Eric Pickles wrote on his blog last year. Matthew Farrow, director of policy at the Environmental Services Association told MRW: “Eric Pickles’ latest comments show that the Government’s approach to collections and recycling is becoming less and less clear by the day. The conflicting political rhetoric around ‘greenest government ever,’ ‘localism’ and ‘weekly collections’ has become a mess. As MRW has reported, industry trade bodies and associations have this week called for an announcement on successful bids to the bin fund to be made without delay. Local Authority Recycling Advisory Committee (LARAC) also condemned the continued unexplained delay in allocation of the Government’s weekly collection fund. It has been reported that the Department for Communities and Local Government (DCLG) will announce the result of the bids for the fund later today. We hope you enjoyed the above article. 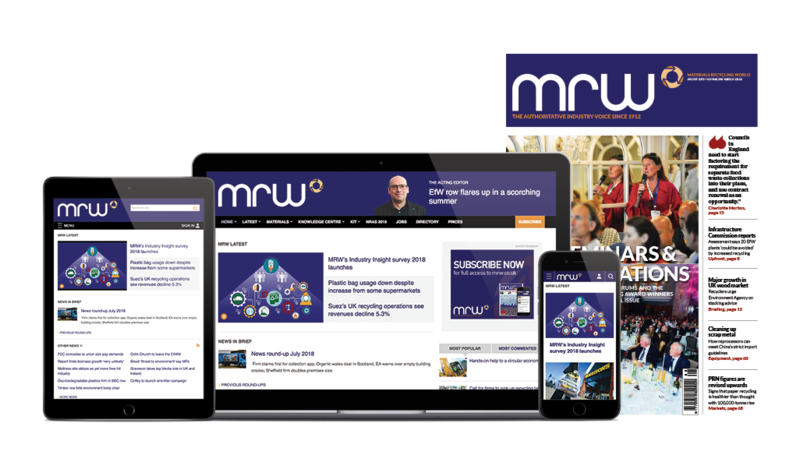 To get unlimited access to all articles on mrw.co.uk you will need to have a paid subscription. Subscribe now save yourself 36% off the standard subscription rate. Local government minister Brandon Lewis has denied the Government’s attempts to encourage councils to keep weekly household bin collections has failed. Eric Pickles says that he believes in localism. The reason why councils get formula (block) grants is so that they can be the judge of what services are most needed for their local circumstances. Threatening to reduce that grant if councils don't make a specific decision for which there is no compelling evidence is not localism, it is bullying and face saving. But it is probably the smokescreen for what will be a difficult announcement for him of the outcome of his ill judged bin fund. If he does end up funding more weekly food waste collections and blustering about threats to block grant. It may not be all bad.